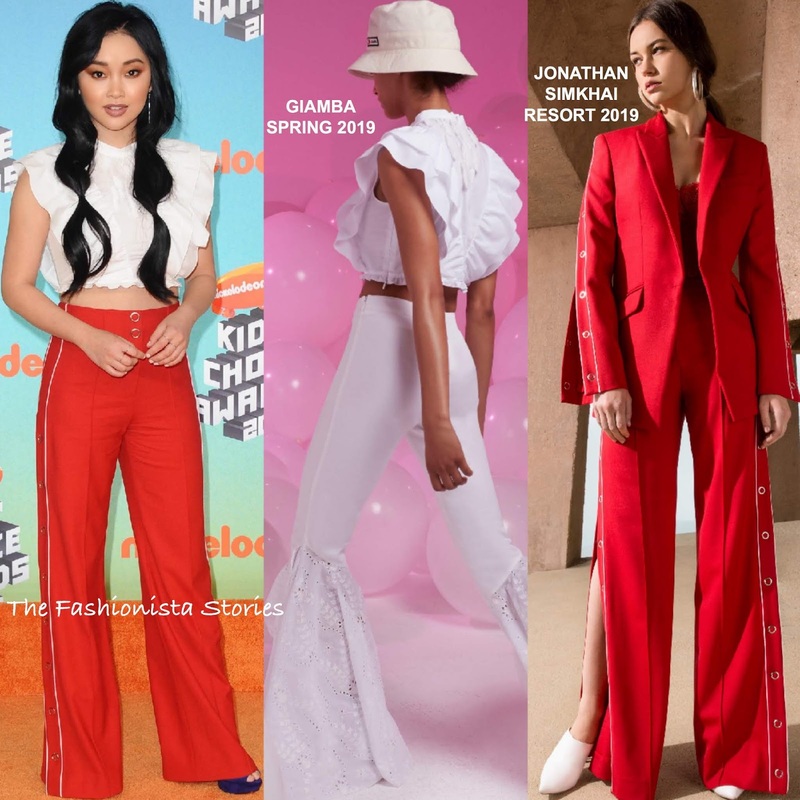 On hand as a presenter, Lana Condor attended Nickelodeon's 2019 Kids' Choice Awards yesterday evening(March 23rd) at the USC Galen Center in LA. Showing her midriff on the orange carpet, she wore an GIAMBA SPRING 2019 white ruffle crop top and red side snap JONATHAN SIMKHAI RESORT 2019 trousers. The side snap trousers adds a sporty vibe to her flirty, feminine top. Her hairstyle is really chic but I wish it was completely off-the-shoulders because of her cute ruffle top. But that doesn't hurt her look which was topped off with purple suede platform sandals.